Edges of ecosystems are fertile ground for adaptation. Similarly in group dynamics, growth often comes from generative disturbances at the margins, perhaps from participants less invested in the status quo. 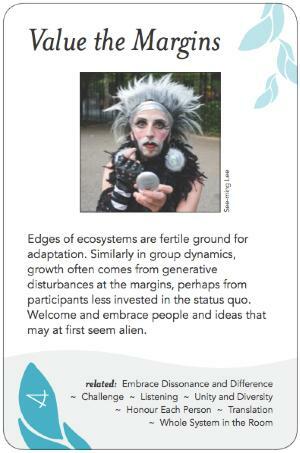 Welcome and embrace people and ideas that may at first seem alien.